Mix with a little Canola Oil, Lemon Juice, Garlic, Oregano and Dijon Mustard. 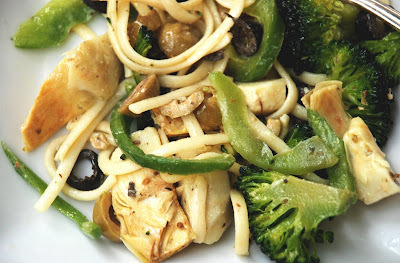 You’ll like the combination and the linguine gives the vegetables a great change of course. Actually, you can throw in just about anything leftover except dessert. Who ever had one of those anyway?